PPT go green layouts powerpoint free and orange arrow 9 stages Templates-Use this Curved Arrows diagram to show activities that are related to the business plan metrics and monitor the results to determine if the business plan is proceeding as planned. Our PPT images are so perfectly designed that it reveals the very basis of our PPT diagrams and are an effective tool to make your clients understand.-PPT go green layouts powerpoint free and orange arrow 9 stages Templates-Arrow, Background, Process, Business, Chart, Diagram, Financial, Graphic, Gray, Icon, Illustration, Management, Orange, Perspective, Process, Reflection, 9 Stages, Steps, Text, Transparency Fall back on our Ppt Go Green Layouts PowerPoint Free And Orange Arrow 9 Stages Templates at anytime. They are always ready and able to answer your call. The corporate world can be fiercely competitive. 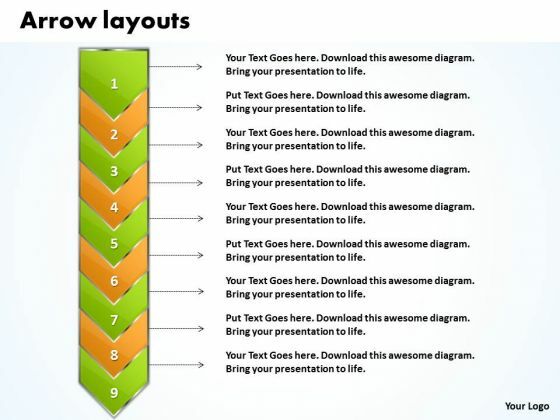 Battle it out with our Ppt Go Green Layouts PowerPoint Free And Orange Arrow 9 Stages Templates. This is a wonderful theme to show business steps. You have what it takes to grow. Take your team along by explaining your plans. 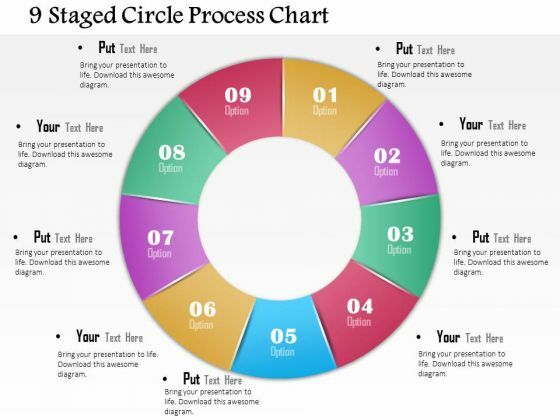 Make your entire presentation visual by just cut-pasting your content in this diagram.